I know, I know. The Golden Globes were last night, and I should probably be writing about them, but I have to admit that I didn't start watching them until 9:30, so I've got a little catching up to do on that front. However, today's post will have to do with entertainment...and tv. So...there is that. 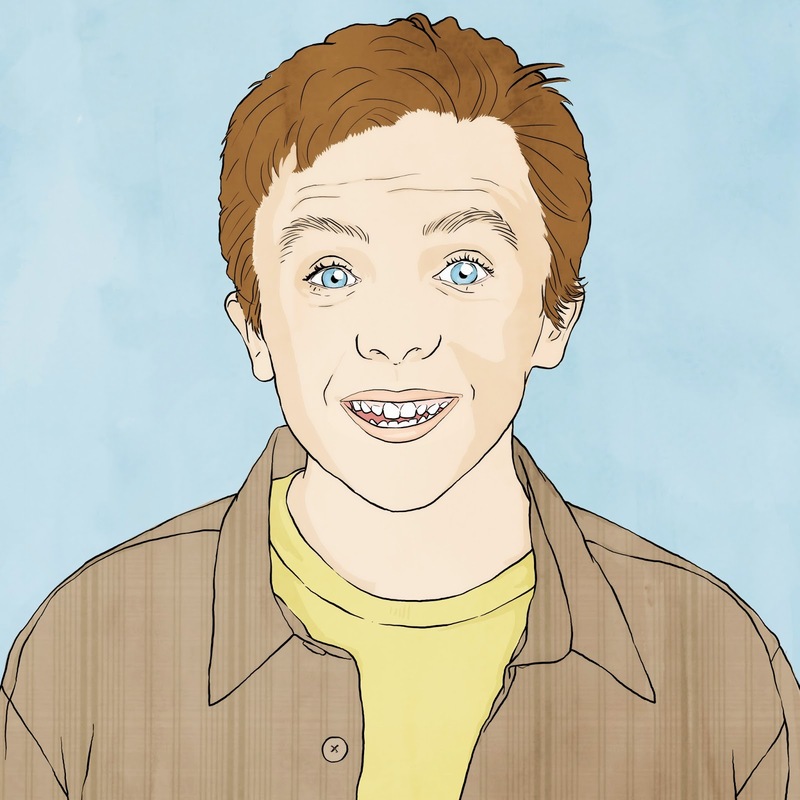 It's been a while since I had a good, solid Netflix binge, but last week I completed my most recent conquest: Malcolm in the Middle. I must say, it did not disappoint. First, I think we should all acknowledge that Frankie Muniz was a super cute kid, especially in the beginning of the series. By the end, though, he was going through his awkward phase, and it was, well, awkward. Now he's an adult, though, and according to the research I did, it would appear he's doing just about whatever he wants. I like that. I like his style. Now, let's talk about everyone else. This was such a great cast I don't even know what to say. Bryan Cranston will absolutely blow you away. The fact that he could do Hal so well and then turn around and do Walter White really...I just can't. There were many times I laughed out loud. Also, it would appear that Bryan Cranston is willing to wear tidy whities pretty much any time the opportunity arises. But this show wasn't just carried by Cranston. Jane Kaczmarek is a brilliantly frazzled mother who is still crazy in love with her husband after five kids. I mean...I really appreciated this bit of the show. I love that they didn't make the parents' relationship combative. I probably should go through the rest of the cast, but they were all great. This was just an ensemble show. Of course I'm saying all of this being completely unqualified...unless wearing sweatpants and a bathrobe while ordering takeout counts as a qualification. In that case, I'm probably over qualified. Hayden Pannettiere's character, Jessica, showed up in 2003 for a couple of episodes, and then she sort of wasn't around much anymore. After that they'd sort of just bring her around for an episode or so every now and then, and it just seemed like the writers had run out of ideas. It was kind of weird. During the last season, there were a lot of loose ends and pointless or unresolved story lines. After six seasons of clever and neatly-tied episodes, this was a little bit of a disappointment. The final episode was good, but most other episodes were like...wait...what happened to _____? I guess I can't really fault them for this, though. Seven seasons of crazy perfection may have been too much. Well...it looks like I only had two problems with the show. If you haven't watched Malcolm in the Middle but you loved Breaking Bad, I highly recommend it on the grounds that you should see what else Cranston can do. If you haven't watched either, you've got some catching up to do.